Dear J & D, En esta ocasión, todos en tu familia LUXE se unen para desearos una vida llena de buenos momentos rodeados de queridos amigos y familiares, apoyo mutuo en los buenos y desafiantes momentos, maravillosas aventuras, buena salud y éxito, siempre y para siempre. Estoy tan feliz de saber que se unió a TripAdvisor para compartir su experiencia LUXE con el mundo. Esto es especial para nosotros, sabiendo que se ha hospedado en muchos hoteles hermosos de todo el mundo y sintió que LUXE es lo que necesita compartir con una comunidad de viajeros del mundo. la recompensa más alta en el negocio de la hospitalidad es saber que creamos una experiencia extraordinaria para ambos. En nombre de todos nosotros en su familia LUXE, nos unimos para darles las gracias por tomarse el tiempo de escribir esta crítica sincera. Esperamos el privilegio de darle la bienvenida nuevamente a LUXE, dándonos la oportunidad de consentirle de nuevo a la manera LUXE, Hasta que nos volvamos a encontrar, Paul & Grace. PD Espero que la infección de oídos de Daniel se aclare y estés en casa seguro para comenzar este nuevo capítulo en el viaje de tu vida. REVIEW IN ENGLISH: EXCELLENT, COMFORT, LUXURY AND FRIENDLINESS: We came from Honeymoon to Bali, and we loved this hotel! He knew how to conquer us with small great details. The room is very comfortable, spacious and modern. No mosquitoes or bugs. The location in the middle of the rice fields and only 5 min from the center is great. The service is excellent, we have never had this deal in one place before. Paul and his team are always very kind, they give recommendations from the city, always with a smile and a lot of kindness. The restaurant is great, the breakfast one of the best in our life and the food is also excellent, a romantic setting, good wine and what to say about the food. Thank you very much! We will definitely come back here sometime! RESPONSE IN ENGLISH: Dear A & D, On this occasion, everyone in your LUXE family join together to wish you a life together full of good times surrounded by dear friends and family, support for each other in the good and challenging times, wonderful adventures, good health and success always and forever. I am so happy to know you joined TripAdvisor to share your LUXE experience with the world. This is special to us, knowing you have stayed in many beautiful hotels around the world and felt LUXE is the one you need to share with a community of world travelers. The highest reward in the hospitality business is knowing we created an extraordinary experience for both of you. On behalf of all of us in your LUXE family, we join together to say thank you for taking the time to write this sincere review. We await the privilege of welcoming you back to LUXE, gifting us with the opportunity to spoil you again the LUXE way, Until we meet again, Paul & Grace. P.S. I hope Daniel's ear infection is cleared up and you are home safe to begin this new chapter in your life's journey. ¡No busques más, este fue nuestro punto culminante de tres semanas en Asia! Adrienne M publicó una foto el 13 abr. Does the One bedroom Sky loft suite have a pool? Or is there a pool you can use when you live in the sky loft suite? Is there sunshine on the pool or is it in the shade? Dear Tanita, Thank you for contacting us. The Penthouse Sky Loft Suite shares a pool with only three other suites. The full sun shines at the pool from 11:30 - 13:30. The Private Sky lounge / garden as part of the Sky Loft Suite enjoys 6 hours a day of full sunshine. 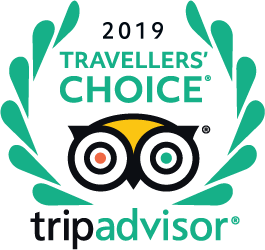 Contact us at anytime by clicking the link to our website on our TripAdvisor page. Kind regards. Nyoman from the LUXE Concierge Office. Hi, how far is the ride from DPS airport to the LUXE villas? Depending on the traffic and what time your flight arrives, it can be between 60 to 90 minutes. If you take LUXE private car service, we talk the toll highway which is the quickest way to Ubud. Hi, is your hotel within walking distance to ubud yoga house? How long does it take by foot? "Todas las habitaciones tienen vistas espectaculares a los arrozales"
"Tiene pocas, y todas maravillosas"